Rolla City Hall Renovation - PWArchitects, Inc. The Rolla City Hall Building is the seat of government and includes Administration, Court, Community Development, Finance, Parks and Recreation and Public Works departments. Each of these departments provides a variety of services and activities for the citizens of Rolla. The design for the Rolla City Hall needed to consider all of these important roles and plan for space needs well into the future. 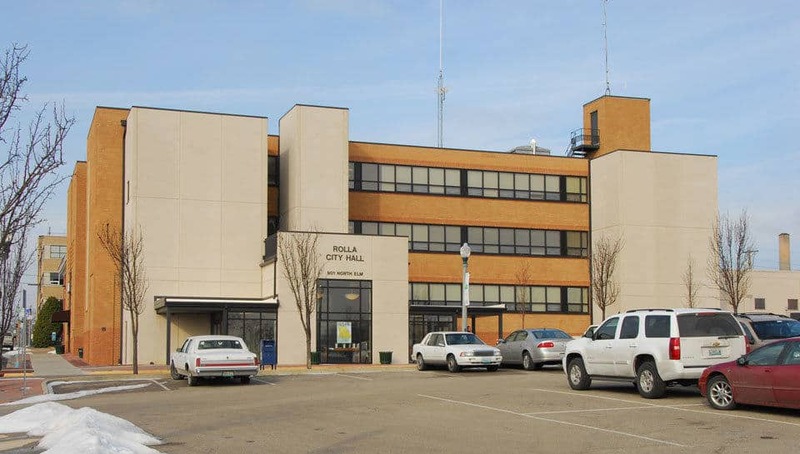 Working closely with City of Rolla staff, PWA and their consultants developed a plan to renovate the existing 21,600 square foot city hall, originally constructed in 1948. The design for the new city hall added 6,900 square feet to the four-story masonry building and included two new four-story stair towers, a five-stop elevator tower, and a new entry lobby with a walkout roof-plaza. To accommodate these additions and new windows a number of penetrations were cut through the existing building. 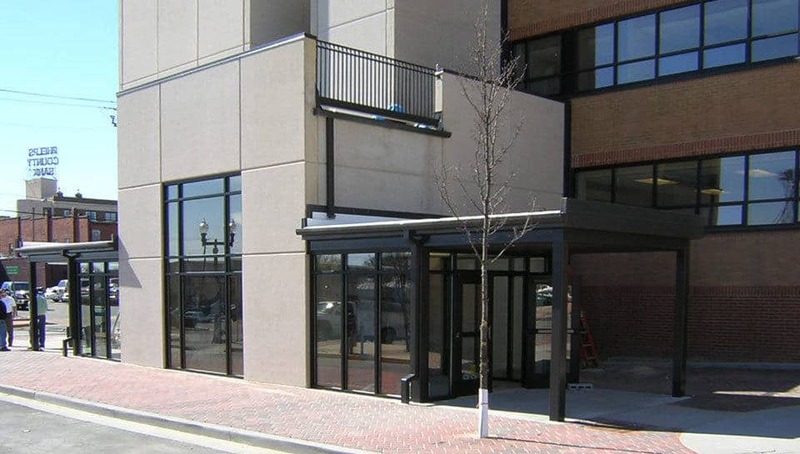 This required extensive analysis of existing structure and development of innovative solutions to work around existing footings, columns, and beams. The renovation of the building also involved the complete interior demolition of the building including all interior finishes, partitions, mechanical and electrical equipment. Significant coordination with the City of Rolla was required at different stages of the construction phase to accommodate the City performing portions of the work themselves within a tight deadline. New entry lobby with a walkout roof-plaza.